Project 2 for my graphic design class, fall 2013. Used Photoshop brushes (i.e. “stamps”) for a scrapbooking/sketchbook themed movie. Used Polaroid images to reinforce scrapbook metaphor. Used multiple layers to achieve sketchbook like background. 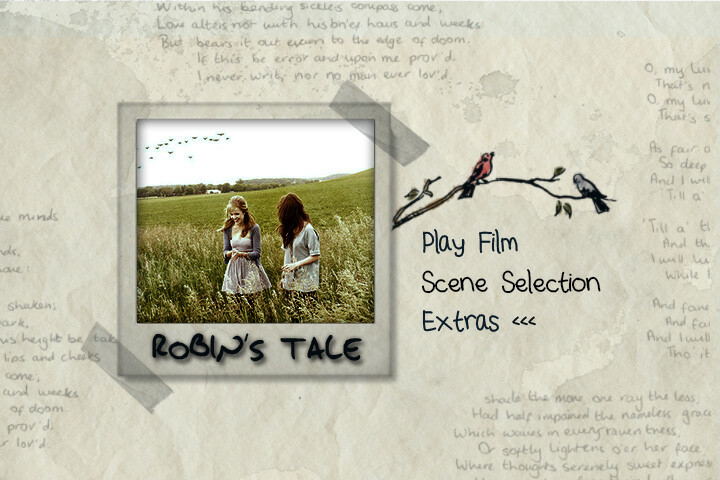 Main menu of mock movie. Primarily using Photoshop brushes. 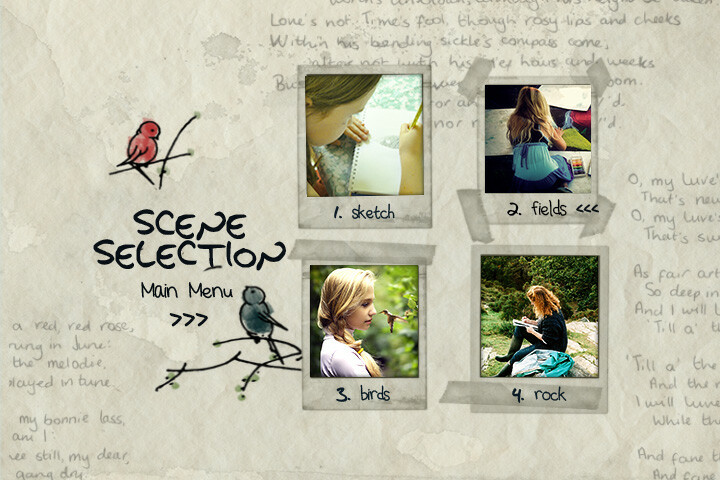 "Scene selection" slide of mock movie. 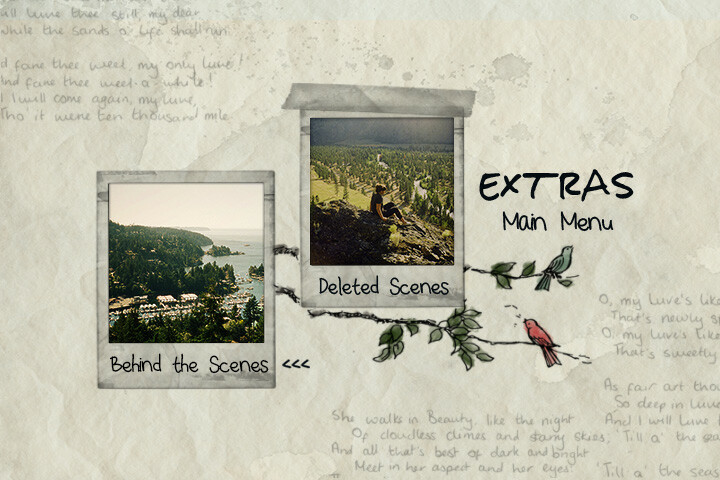 "Extras" slide of mock movie.